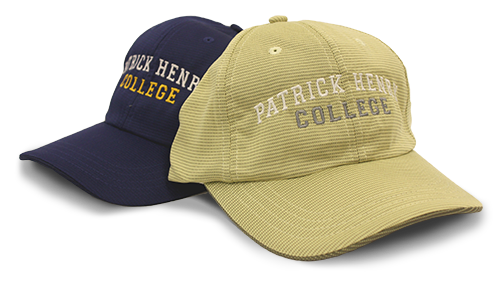 Stay warm in these PHC caps, available in assorted styles and colors. 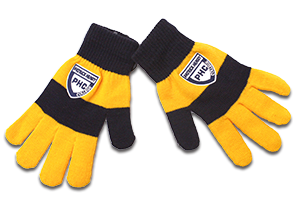 Keep you hands warm in these navy and gold striped gloves. 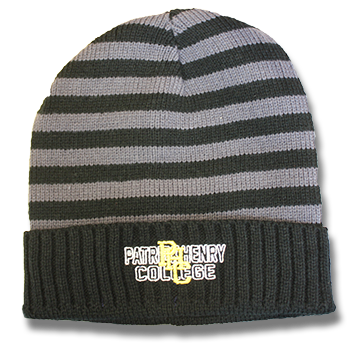 Cool and breathable polyester and bamboo caps with adjustable Velcro. One size fits all. Colors: Pale Green and Dark Royal Blue. 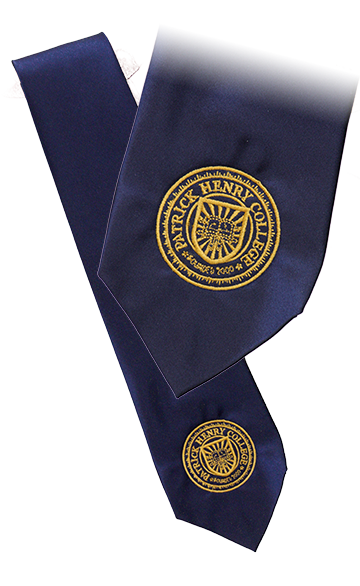 Navy with seal embroidered in gold. Fine gauge light blue knit hat with a snowflake design, fun and functional. 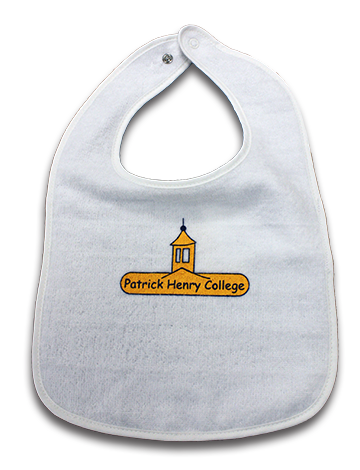 Your future PHC Grad will sure look cute in this adjustable snap terry cloth bib featuring the Cuppola from Founder's Hall. 100% cotton. Slightly oversize hardback notebooks with the PHC seal. College rule, single subject, 80 sheets. Authentic genuine leather ID holder includes a lanyard, key ring and features a front side pocket displaying the PHC seal and zipper pocket to carry keys and otehr items with ease! Available in Tan, Green, Navy and Purple. Colors: Tan, green, navy, or purple. Shipping fees apply based on current UPS charges. A 6% sales tax applies to orders within VA. Shipments to other states are tax exempt.